* These are such a quirky and fun item! * Perfect for mail art and more! 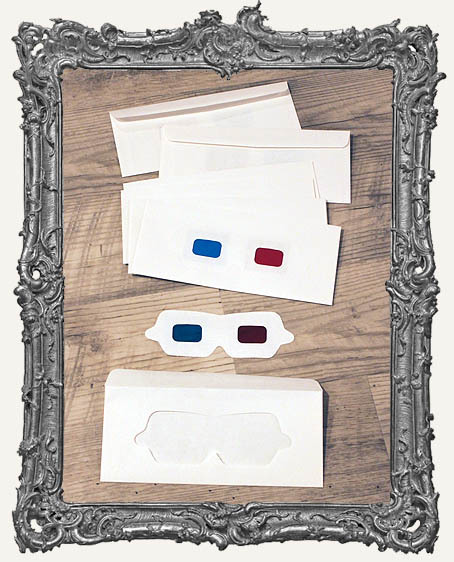 * Gummed envelopes, with a perforated 3D glasses front. The "glasses" can be easily punched out from the envelope! Use a hole punch for some holes, and a string, and voila, instant 3D glasses! * The envelopes measure 4" x 9.5". The "glasses" are normal sized.